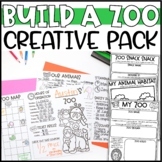 Zoo Writing: A Really Fun Beginning Writing Movie. 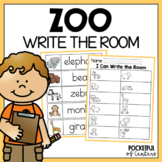 Students work in small groups to find the ZOO animal words around the room and write them on their worksheets OR stamp them on the stamping sheet. All about zoo animals! 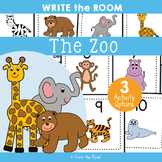 Practice reading and writing zoo animals words in this great active literacy activity to get students moving and excited about learning! 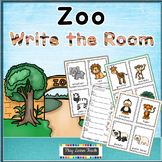 This set can also be used in literacy centres, small group or independent activity time. The word cards can also be used on a word wall. 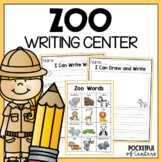 Have the students write about the animals at the zoo. There are 12 different pages of animals. 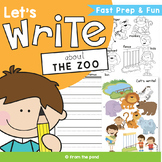 Have your students pick and choose which animals they would like to write about, or write about them all!